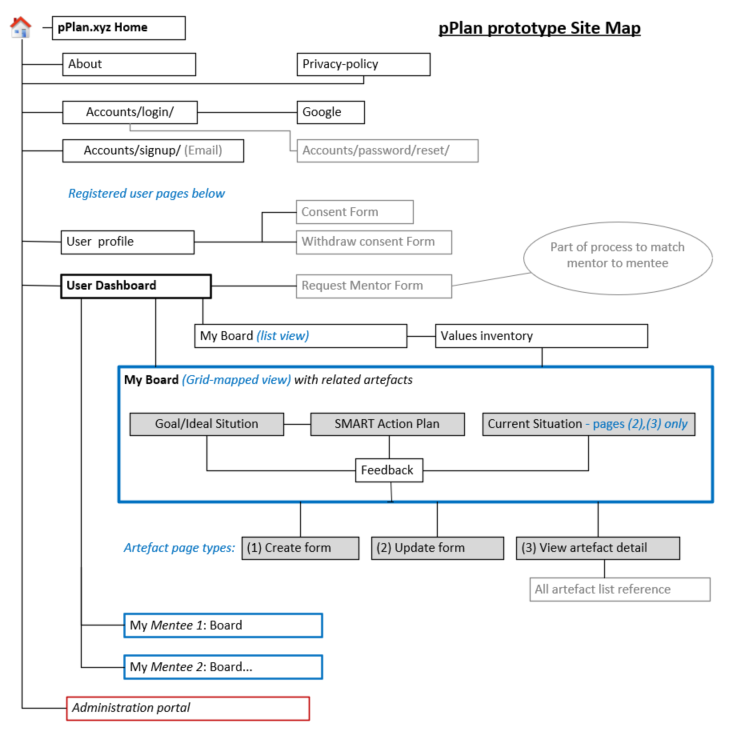 I don’t want to repeat what can currently read on the tools site https://pplan-prototype1.herokuapp.com (offline now https://my.pplan.xyz), or seen in the planning essentials sheet or user guide page . Also problems/questions this prototype is trying to answer can be seen in the survey. 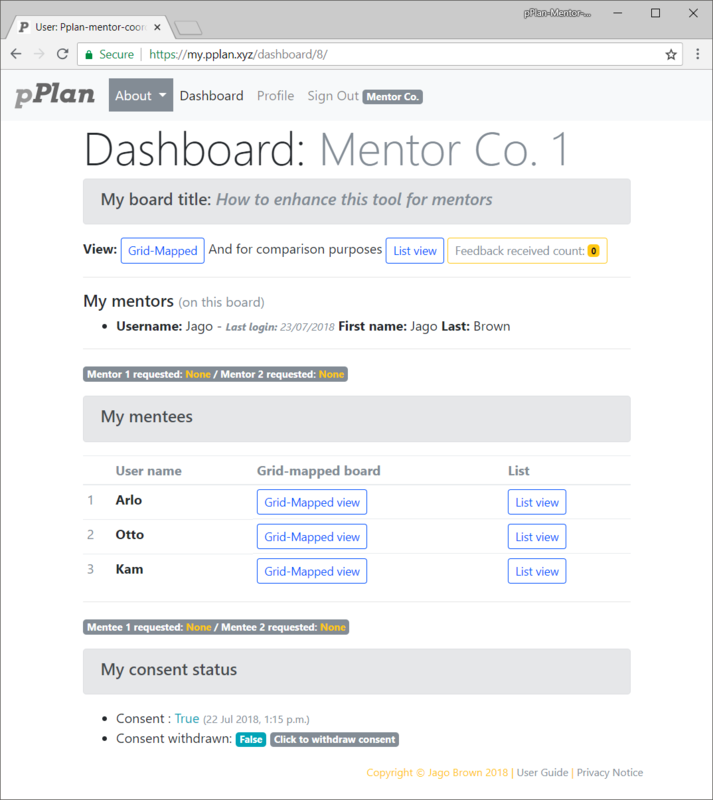 So the four screenshots below are intented to give a quick insight into how the tool can be used from a mentors point of view, although the metees view is not hugely different as the user guide illustrates. 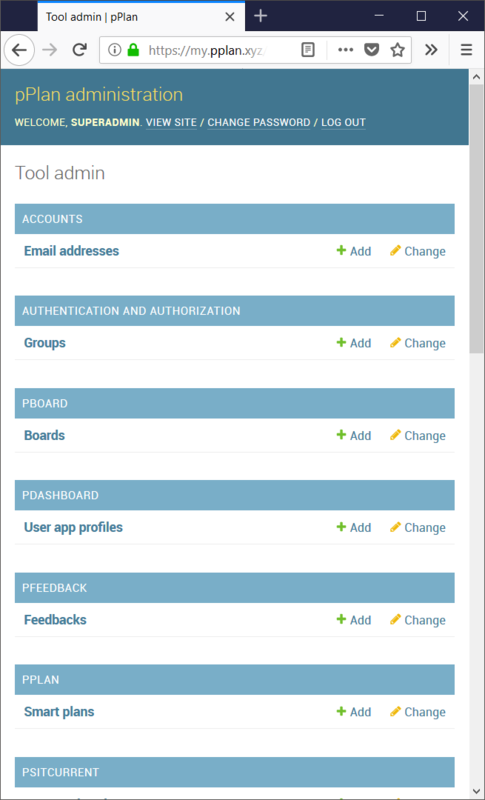 Figure 3 below is an administrator view displaying some of the tools backend administration. The tool has been built using the python Django webframework and is hosted securely in the cloud. 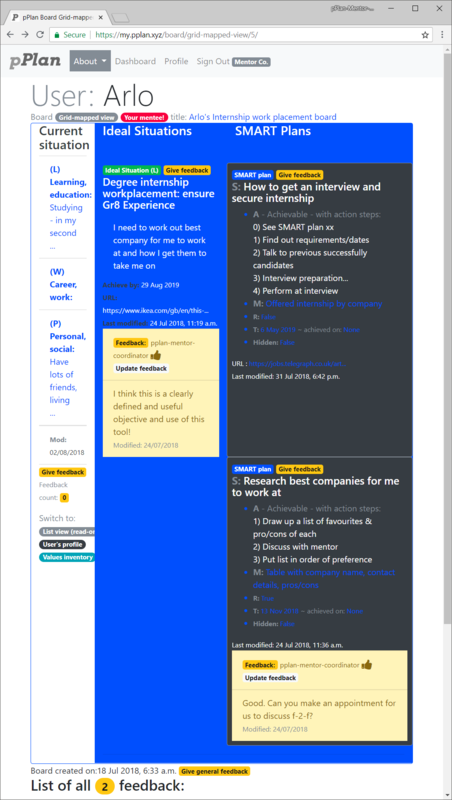 To be clear this is a prototype tool being beta tested online now (August & September 2018). So feedback is welcome and will be useful in helping to decide future development.